One of the most important aspects of your marketing plan at tradeshows, conventions, and expos is your booth display. A well built, well designed, and correctly set up display can be the most effective way of reaching clients and customers on the tradeshow floor. We provide the complete setup, dismantle, and warehousing of your tradeshow display. We can design and build any tradeshow booth that you would like, warehouse it, and set it up at the events that you exhibit. As a full service event decoration and design contractor, Southeastern Convention Services has you covered. We have over 20 years of experience in the trade show, expo and event industry and we proudly provide the entire Southeast with high quality event design and decoration services. We have the ability to work with the smallest of booth setups and provide the complete setup and storage of the booth. We work closely with companies looking for a provider of services and warehousing. We are responsive and make sure every booth is set up for success at your events. 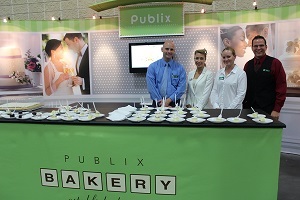 We love to make every event and booth a great opportunity for you! We strive to offer the most complete array of services and display options for your trade show, expo, convention or special event. That is why we are the number one choice in Atlanta and surrounding areas for trade show display services. If you are looking for an Atlanta area trade show booth and display specialist, please call 1-888-608-EXPO or complete our online request form. Copyright © Southeastern Convention Services.